So here it is, the Koh-I-Noor lead holder 5340 5,6 mm in gold. My initial impression was this thing is a lot bigger than I was expecting. I thought that it would be shorter. It kind of feels like holding a weapon. Big, bulky, all metal. The design is simple and elegant, the mechanism inside is made out of brass, the outside is made out of aluminum and the barrel is painted goldish, while the rest of the parts are polished bare metal. The barrel is an octagon, and on a side, it is written in black KOH-I-NOOR HARDTMUTH. I guess this is not a subtle pencil so why would the writing on it bee any different. Inside the mechanism's button, there is a sharpener for the lead. Also because of the thickness of the lead, you can use a regular pencil sharpener. When you remove the cap, you have access to the lead inside, meaning you can fill or empty the pencil from the back, if the lead is not clamped in the clutch jaws. The pencil was delivered with a lead, 2HB I think. It is plenty dark and smooth, so the writing experience is nice. One of the bumps in the road is the consistency of the lead thickness. Some of the leads I bought along with the pencil are a bit too thick and they do not go in or out without persuasion. I have to pull on them or shake the pencil to force them out. And I can see little crumbles of graphite from the friction with the clutch. After playing with the pencil for a few days I found it's role in my life. I think the designer of the pencil had artists in mind, but I do not draw. Or because of it's intimidating size it could be used for manly things. I read on a blog some time ago you can design a shed with it, and I think the one who did the review was pretty close to its purpose. My use for it is "Visual Note Taking and Markings". There is a good variety of leads to use for this pencil. You can use regular lead. I do not know if you can get HB, but the softer lead is just fine. Also, you can use chalk, coal, metallic colors, sepia. Merry Christmas to everyone, even if it is a bit late. This is a late Christmas special post featuring the very interesting looking OHTO Conception 0.3. To be honest I meant to write it for some time now but got distracted with work, life, and laziness. I meant to write it just before Christmas but I have lent the camera so I couldn’t take the needed pictures. Brad from The Pen Addict. 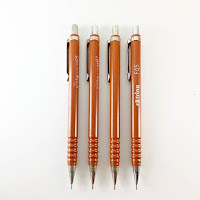 This pencil was reviewed by Mathias from Bleistift.com some time ago, so please check his post and the youtube video. 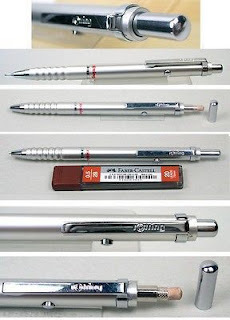 I have seen them at that time but can’t remember the conclusion so this will be my view on the mechanical pencil. It will be interesting to see after, how each views the same product. First of all the color, which I find it to be very nice. It could be seen as a bit feminine, but I think it works for everyone. It is an all metal body, with the barrel a light pale purple, a midsection with a darker violet. The grip is a mat finish gray that has a bit of tactile feel to it and it has enough grip. The rest of the pencil: tip, clip, and pusher are glossy gray. 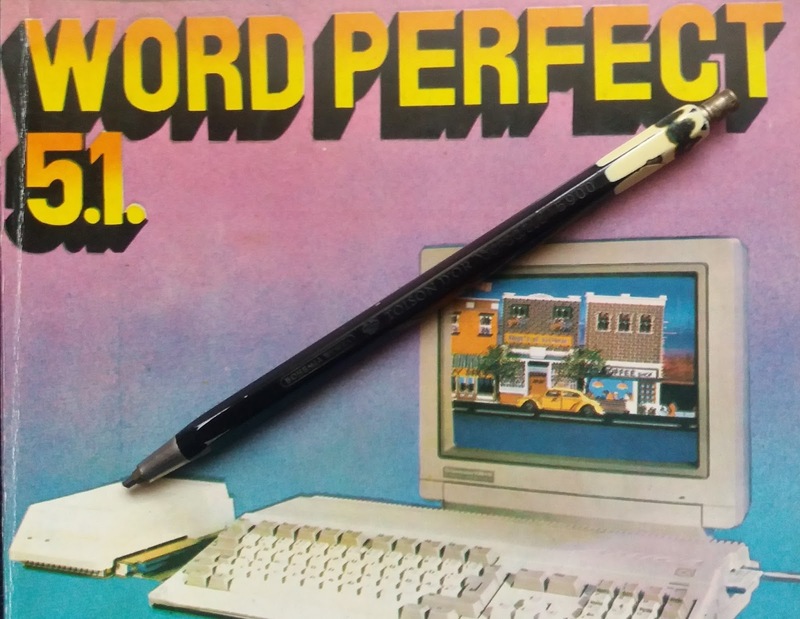 The pencil has very subtle markings, OTO and Conception along with lead size, that is written in a color that is close to the barrel color and in a small font. It gives the pencil a clean look and technical feel. 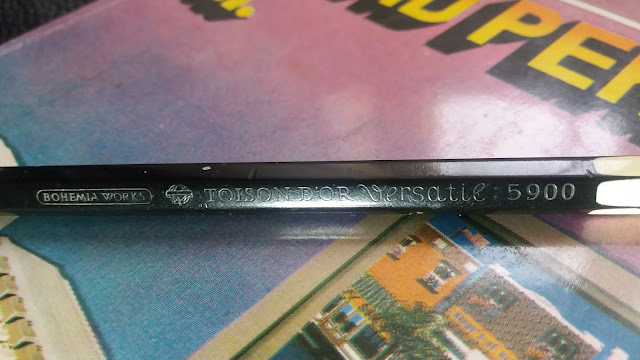 This pencil has 2 very interesting features that make it a bit unique. The first thing that you notice are 4 holes in the side of the barrel that show you how much the lead advances. Yes, you can control it. So if you ever felt the traditional mechanical pencil doesn’t got this right you can opt for the Conception. At the maximum setting, the lead will advance 15 mm after 10 clicks and the minimum setting will offer 4 mm of lead for 10 clicks. A huge difference, and of course you can set it any ware between this 2 values. The second unique feature of this mechanical pencil is the fact you can have a fixed sleeve or a retractable sleeve. By screwing the barrel to the grip you make it a fixed sleeve, that is very good for technical work, and precision lines. While for general writing you might prefer to have a sliding sleeve, so you will click the advance mechanism a lot fewer times. This makes the pencil pocket safe because the sleeve slides all the way in. The clip and the eraser are good and I do not have complaints about them. One thing that is reminiscent of older pencils is a pointy tip imbedded in the eraser for unclogging the pencil. Rotring has dropped this after the first generation of Tikky, so I do know how to feel about it. Is the pencil not reliable enough and the manufacturer knows you will get into trouble? or is it there just to give you comfort and ease of mind in case something goes wrong? Take it the way you want, I am a bit skeptical. One thing I have not talked about is the lead size. The pencil in my possession is a 0.3 m lead. It is the first one for me. I don’t know how to feel about it at this moment, as I have not used it enough. Lately, I am incline to use 0.7 mm more often than the 0.5. I think this is because I rarely need the pencil to do detailed work and mostly I use it for notes. Engineer or not computers are used for the real work stuff while paper and pencils are mostly used to put down some thoughts, ideas and notes. The fine point is a very different experience even compared to the 0.5 mm, and it offers a lot of control and precision. In the end this lead size to me seams to be a more specialized thing, making it less practical. I mean it is very good for detailed work and taking small notes in a limited space, for example, a book, but will not be very good for writing as you will frequently need to click the advance mechanism. Having a fine point makes it more fragile and having a sliding sleeve will make your lead break fewer times or not at all. So in my opinion the purpose of the sliding sleeve in this pencil is more for protection, and not for long writing sessions. The pencil offers a very nice feel in hand, for me is a great fit. One thing that I would change is the transition from the barrel to the grip section. It should have been better grinded to make a smoother transition. One other thing I would like to mention is the screwing mechanism that makes the sleeve fixed or slide and the click of the lead advance. You can feel the spring that offers resistance and it is not smooth or quiet. It is not too bad, but I feel there is room for improvement. Finally a "scientific" test for what is the best lead size to use in an everyday situation. I don't think anyone has asked the question, but I am here to find out the answer. 0.9 and 1.0 is the same size but marketed as 0.9 or 1.0 by different producers. From now on I will refer to both this sizes as 1.0. I guess you already have the answer, which one you like the most is the best, and I think 0.7 is the most usual of them all. In the so-called test, I wanted to see how much lead is used for the same amount of text using each of the lead sizes mentioned above. This is hard work, and I do not think I will be doing science anytime soon after all this experimenting. I used Rotring HB lead size 0.5; 0.7; 1.0. Other brands might offer different results because of the lead hardness "... 2B B HB H 2H ..." is not standardized. So HB from other suppliers might be softer or harder. 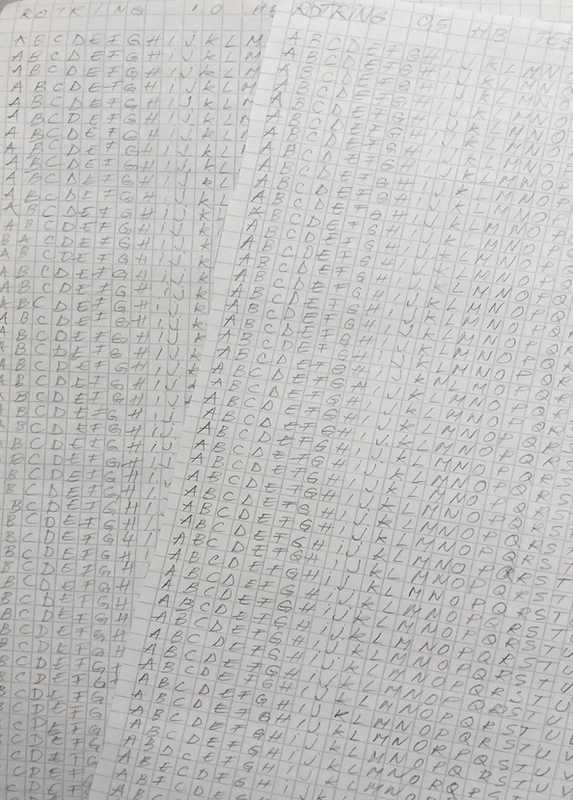 After, I measured the lead used to write all this. Of course, this depends a lot on how small or big do you write, how condensed, how much pressure etc. But this value is not important. The difference between the test results says the story. The 0.7 mm can write in theory 60 pages and the 1.0 mm over 120 pages. This means that the writing you are able to do with 1 lead doubles every time you bump up the lead size. 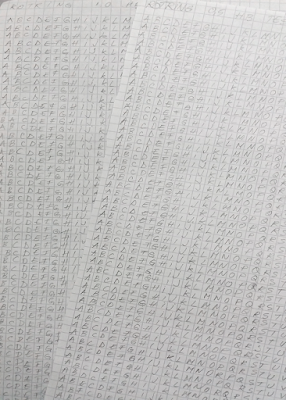 Because I could not measure the lead used up on a single page with size 1.0 (under half of mm) I cranked up the pace and applied extra pressure and made a bunch of lines and X. It does not seem a lot but, if you could use the entire lead, for a normal 60 mm lead size 1.0 used to do as much writing you would need 3 pieces of 0.7 mm lead or 7 pieces of 0.5 lead. Similarly, if you would take the 0.7 mm as a benchmark then you would need 2.33 pieces of 0.5 mm lead to do the same amount of writing. In conclusion, you should choose the thicker lead, especially if you have a heavier hand for three reasons. The first reason is the price. The price of lead is usually the same for all sizes. The second reason is the advancing of the lead. The less lead you use fewer clicks you will have to make. So in a long writing session, a thicker lead is bliss. Third, the risk of breaking the lead is smaller with thicker lead. Ok, you may ask "Won't the line be too thick if I use 1.0 mm?" It will, but not by a lot. There is a small difference between the 0.7 mm and the 1.0 mm. Doing detective work.. What better companion to find if not the Bic Matic. It's not the best movie, and I don't know if it deserves the mark it has on IMDB, but it has an interesting scenario. In the movie, Rod is looking for his 26 year old friend, Chris. And to put down all his ideas, he uses a clear body Bic Matic with a yellow clip. Bic does not seem to be camera shy. 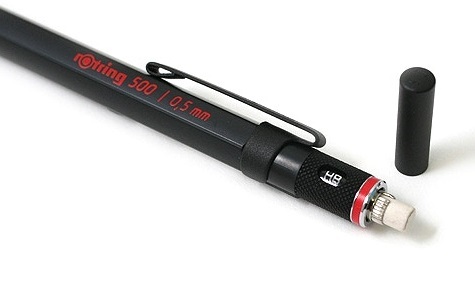 The Rotring 500 is the little brother of the 600 series. It shares the same looks but has a plastic barrel instead of metal. The grip is made from metal and has knurlings the same as the lead hardness indicator. 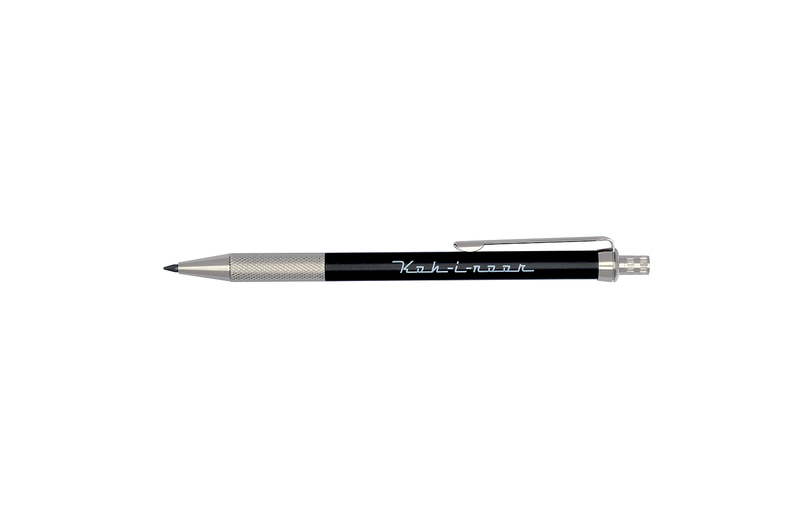 It comes in sizes 0.5 and 0.7 only in black while the Rotring 600 can be found in silver as well. The first appearance of the rotring 500 is around 1989 - 1990, about the same time the rotring 600 appeared on the market. Notice that Rotring was using lead size notations 0.3 mm and 0.9 mm. Nowadays the 0.3 mm became 0.35 mm and the 0.9 mm became 1.0 mm. This looks like a very serious drafting pencil, and it is. It has a Rotring classic design, it is built very well with precision and comfort in mind, but the times have changed. If you could buy this serious tool in all drafting sizes, now it is available only in 0.5 mm and 0.7 mm. These are the most common sizes used nowadays for general writing. So even the most die-hard drafting pencils are becoming regular mechanical pencils with a peculiar design. Getting back to the pencil. 1904725 and 1904727 are the new product codes for Rotring 500 0.5 mm and for 0.7 mm. The 500 is the cheaper version of the 600. It is not the cheapest (that spot is reserved for the 300 complete plastic build). The 500 is made in Japan and the build seems solid. The grip, lead hardness indicator, and the cap are made out of brass, the clip is made out of stainless steel and the barrel is plastic (ABS) but feels nice to the touch. I like the tool design, it screams, I was made with a precise purpose in mind. The barrel is hexagonal so it does not roll off the table, it has written with red "rOtring 500 / 0,7 mm". The clip is a very solid one and has the name rOtring, stamped on it. The lead hardness indicator is a nice touch, it does not move too freely so I do not think there is the risk of moving it by accident. What I like a lot is the repositioning of the red ring right at the end of the pencil. Also, it is not a strip of paint, it is a plastic with a red color. Very nice, because the paints used on the rotring's tend to get erased with not too much use. The endcap is made out of brass and hides a small eraser and the feed system. One thing it misses is the color coding for the size, but as I mentioned before even the drafting pencils seem to move towards general writing instruments, so the lack of size colored marking is not a concern for most people. This is about 3 times more expensive than a Rotring Tikky but when you hold it in your hand you can justify paying 3 times more. You could go even higher by purchasing the 600, but I feel that this is a great deal. You get a great mechanical pencil that is good looking, is well built and will cost less than half what a 600 will cost. I like how on the 2017 Rotring Catalog Cover the Rotring 500 0.5 mm pops up. Faber Castell Grip 1345 is one very nice mechanical pencil. 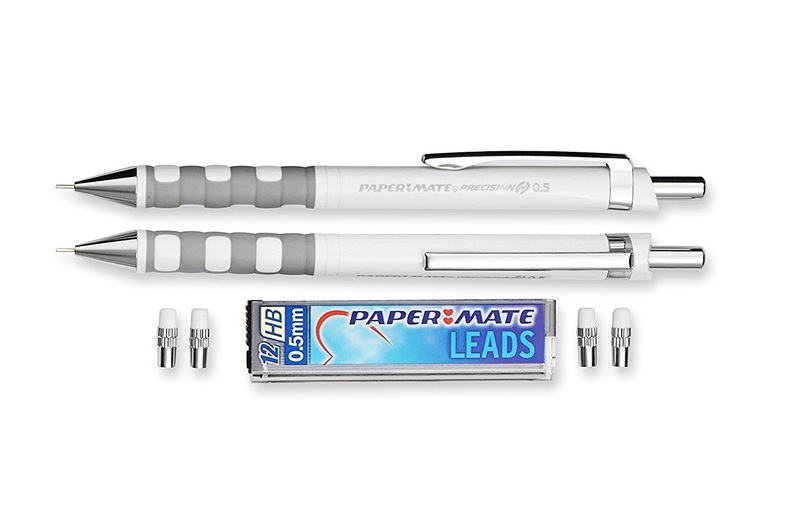 It is made in Japan, and it comes in 2 lead sizes. The 1345 is a 0.5 mm and the 1347 is 0.7 mm. There are 14 available barrel colors to pick from. The Faber Castell green, a traditional burgundy, dark blue, black and other very nice pastel colors. I have, and will review the Faber Castell Grip II model, 1345 (that is 0.5 mm) color blue. 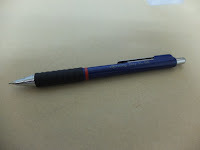 Because the pencil is made out of plastic it is a light mechanical pencil, but it does feel good and solid in the hand. Faber Castell has put thought into the pencils design. The barrel is made out of a glossy plastic. 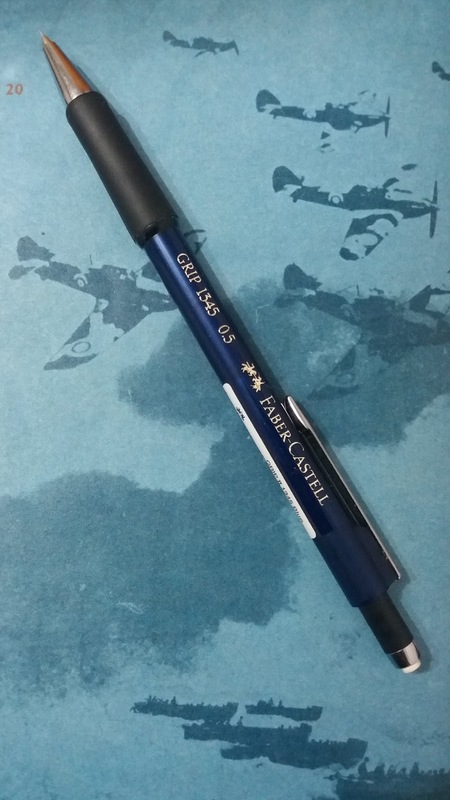 On the barrel, it is embossed with gold like paint GRIP 1345 0.5 the Faber-Castell logo and name. After more ware and tare I will say how the writing is holding up. The top part of the barrel is brushed so it has a matte finish to it. This makes the pencil more interesting and shows that someone has put thought about the design of the pencil. The clip is metallic, elegant and feels secure. The clicking mechanism holds a very long twist eraser. The plastic seems soft to the touch and has a chromed trim near the eraser. The advantage of this system is the long eraser, and the fact you twist to reveal it, so you do not risk losing the cap. The eraser has 3 cm of usable length so it will last. 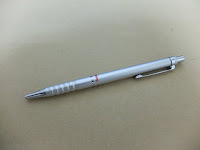 Even this is a cool feature too have, and the implementation is nice I will not give it extra points, as I am one of those guys who doesn't like using the erasers on the mechanical pencils. Not because they are rubish. 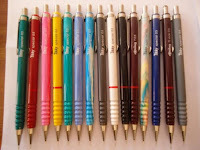 I do not use them as I do not like the worn look, it makes the pen less appealing. 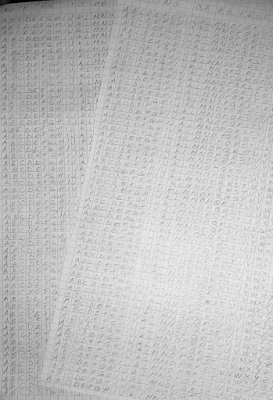 This way I enjoy a "brand new" pencil everiday. The downside because of this long eraser is the feeling system. Because this eraser section is so long it is harder to put the leads in. 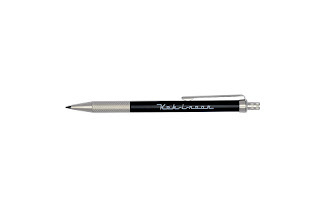 The tip of the mechanical pencil is conical and made from a chromed metal. 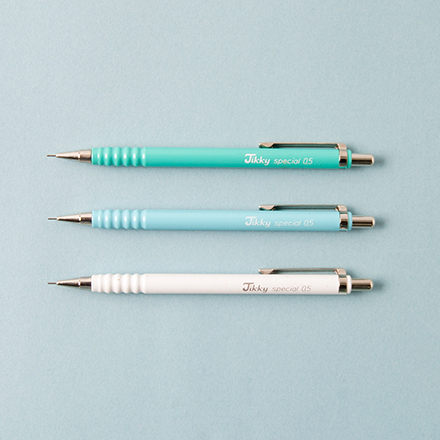 It offers a retracting and sliding sleeve, so it makes for a pocket safe mechanical pencil. 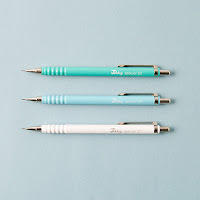 The retracting and sliding sleeve does not have a wabble to it, when you write it feels just a regular non retractable sleeve. 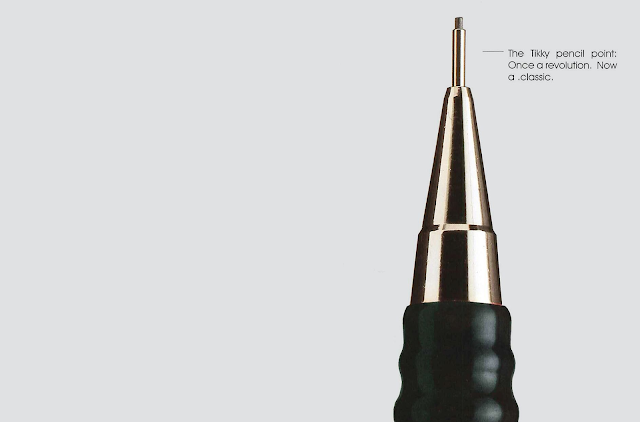 Because of the conical tip, it's not a drafting pencil, it is intended for general use. The pencil comes with spring lead protection, meaning if you press harder on the lead, the lead will be cushioned by a spring. This works if you have a more vertical way of holding the pencil. I like the way the sliding sleeve works (this is a feature also named "automatic" on some mechanical pencils). When the lead is used and the sleeve will hit the paper, and so it will slide back a little bit, revealing the lead. This means you can use the advance system less and the lead will be far less susceptible to break. But not all "automatic" pencils are created equal. Some of the problems this system encounters are: too much pressure to slide the sleeve, sleeves that do not have the right angle and not enough polish making them scratchy. I would give the Faber Castell Grip an 8.5/10 score for this feature. It works almost perfect. The advance mechanism makes a nice clicky sound when pressed. The lead advancement is on the low side. 5 clicks will offer 3 mm of lead. In comparison, the Rotring Tikky (version 3) puts out 4.5 mm. The grip section is made out of soft rubber. It is very comfortable and nicely integrated into the barrel, but I suspect it will have a relatively short life. It seems a bit soft and it has a moves a bit under pressure, I think with time it will become looser. This is the drawback of the rubber grips. They are comfortable but not durable, and can be annoying to feel it move in hand. Other problems that might appear is the hardening of the grip to the point it is uncomfortable, it cracks, or the rubber becomes sticky. All this makes the Faber Castell Grip 1345 a very nice mechanical pencil, that I am happy to use as my daily writer. 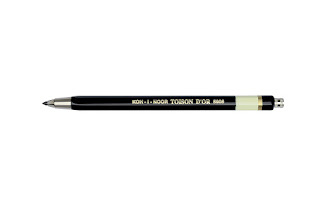 The pencil I have is a Bohemia Works Toison D'Or Versatil 5900 made by Koh I Noor. There is nowhere the Koh I Noor name on the pencil. That is because the branding for exported products was Bohemia Works. There where other models that featured a clip. This pencil has seen a lot of action all these years. The writing on the side is gone, you can see where the writing was if you shine a light on the body. When it was new it would have an embossed gold writing. The black paint is coming off in some parts and the barrel metal is showing. The detailing at the top part is mostly gone showing the black paint beneath. The cool part is that even today you can buy the same Versatil pencil, in the same color you could get it 40 some years ago. Inside the pen. It is a basic design. You have the body of the pencil which is metal. The mechanism that holds the lead (clutch) made out of brass. The mechanism is gravity aided meaning it holds the lead in putting tension on 3 arms. When you press the advance button the tension is released and the lead can advance. 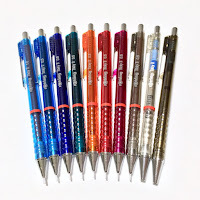 It is not an incremented advance system as in more known mechanical pencils, it just slides out. How much is up to you. The last part is the cap of the advance system which has a trident with which you can sharpen the lead (now it is a bident :) as one of the arms is broken). Even after all these years and use the pencil works as is should. 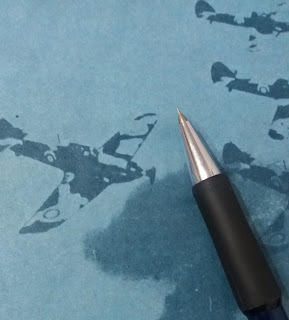 One of the design flaws of the lead holder, in my opinion, is the smooth paint finish which tends to slip from your hand after a longer writing session. If you are in the market for a pencil with a lot of history this could be the one. You can buy vintage from eBay or new. Whatever pencil you will choose it will be a "Versatil" one. 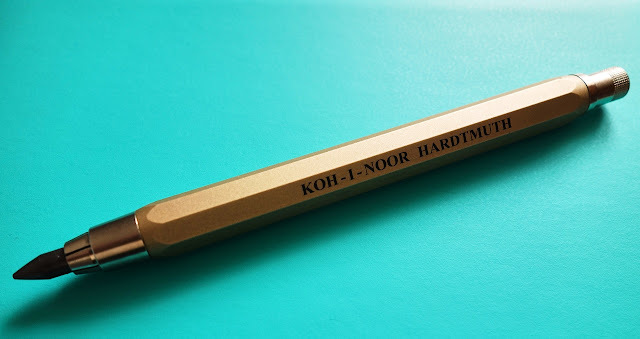 Looking at what Koh I Noor has to offer I found a very beautiful pencil with an old-modern design, knurled grip, the Koh-I-Noor notebook 5600. I will make a review of it shortly. 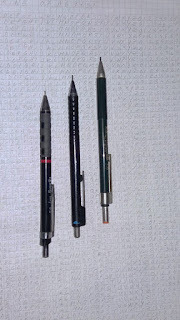 I am a long Rotring Tikky user and today I will share with you the beloved mechanical pencil. 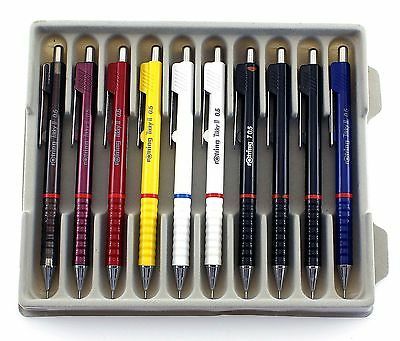 I got my first Rotring mechanical pencil in middle school. 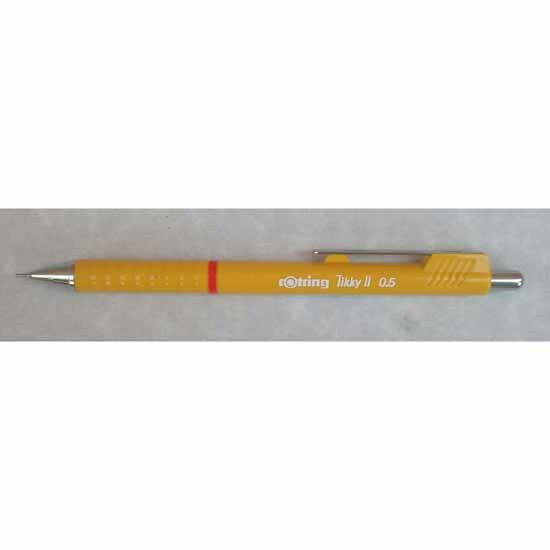 If I am not mistaking it was a yellow second generation of Rotring Tikky. Unfortunately, I lost it sometime during high school. At some point, I had a red second generation Rotring Tikky but I can't remember it's faith. 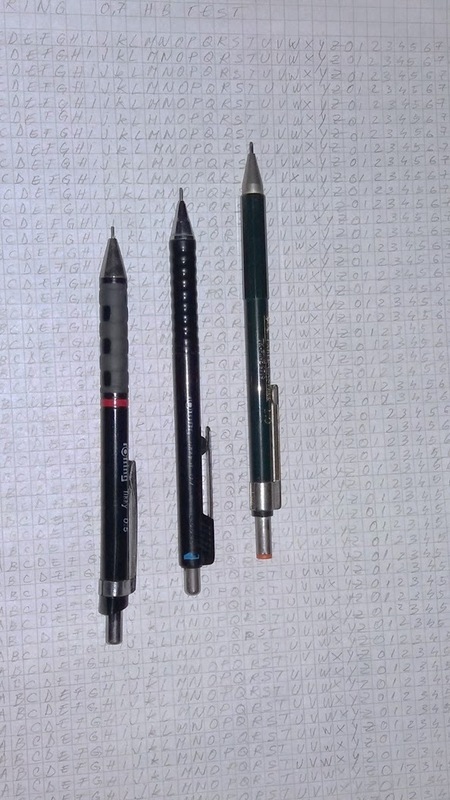 At the moment I have a black second generation Rotring Tikky 0.7 that I got in high school and used throughout the university, 2 Rotring Tikky's third generation one 0.5 and one 0.7 mm. One of my big regrets is that I do not have a Tikky Special first generation. Both of my parents are engineers and both where using Rotring for many years as it was pretty much the standard in the industry. Why everyone was using them is pretty clear. They are affordable, good quality, a precise instrument that will last a very long time, and they are readily available. They come in all sizes 0.35 mm, 0.5 mm, 0.7 mm and 1.0 mm. 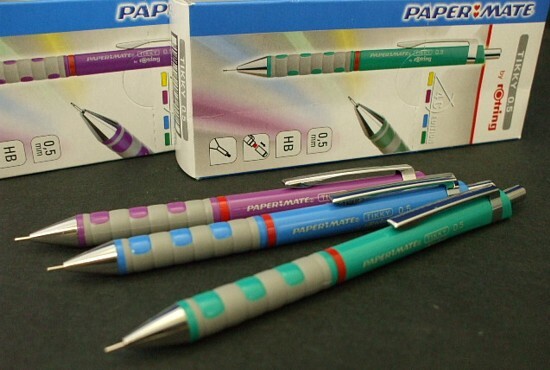 And also, I do not think that the market back then didn't have such a plethora of mechanical pencils to choose from. 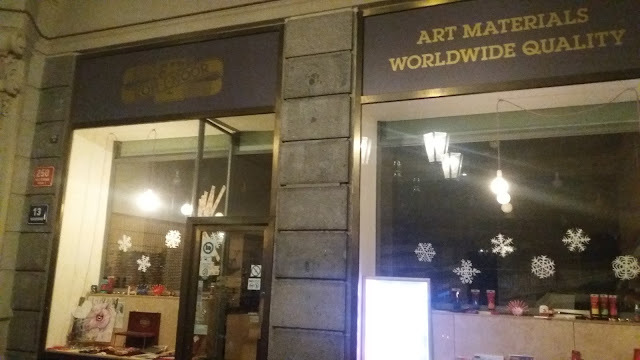 At least here (Romania), if you will go into a stationary shop it is almost certain they have Rotring Tikky mechanical pencils. In the last years, the Faber Castell has been a lot more aggressive and is starting to dominate the shelves of the stores. So maybe the new generations will grow with Faber Castell instead of the Tikky. 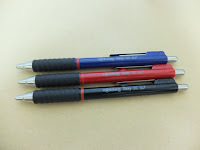 In the next lines, I will try sharing with you the information I have managed to gather about the Rotring Tikky mechanical pencils starting from the first generation up to the last. 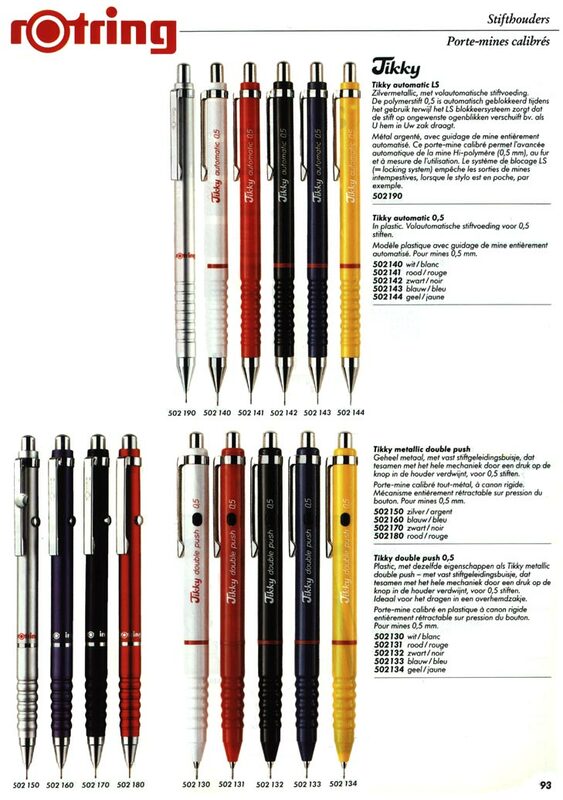 The history behind the Rotring Tikky mechanical and the information about the models and their characteristics. In 2008 the third generation of Tikky was available to the customers. 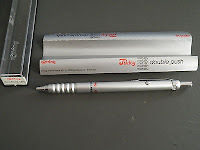 The first generation of Rotring Tikky was produced in West Germany and in Germany after 1989. It featured a metal drafting fixed point a slim body with a waved grip section. The barrel was made out of plastic or metal and it was available in different colors. 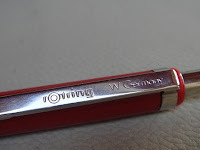 It had a sturdy clip which was made out of metal and on it was stamped "Rotring" and "W. Germany" until 1989 and with "Rotring" and "Germany" after. The cap was metallic and was hiding the eraser. Only present in the Tikky Special, the eraser also had a pin in it to unclog the pencil if the lead would jam in it. The next models do not have this feature anymore. The mechanism inside was made out of brass and could be taken out of the pencil. 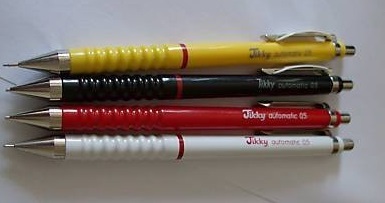 Rotring came out with several models of the Tikky right at the beginning, and there were a few variants between labeling them. 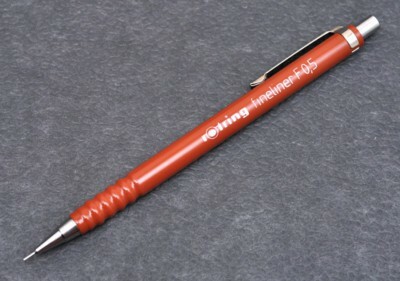 For example, not all Rotring Tikky first generation came with a red ring and others had the name rOtring written in red instead of the red ring. Some of the pencils featured an endcap that had on the tip of it standard color coding for the size of the lead. The barrel came in all sorts of colors, even crazy psychedelic paints. With the first generation, Rotring seemed to use the size 0.3 mm and 0.9 mm instead of 0.35 mm and 1.0 mm nowadays. 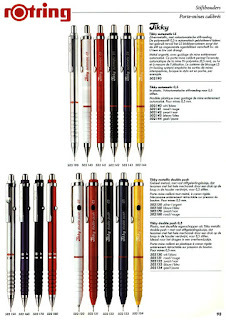 Rotring introduced the Trio Pen which later became the Tikky 3 in 1. 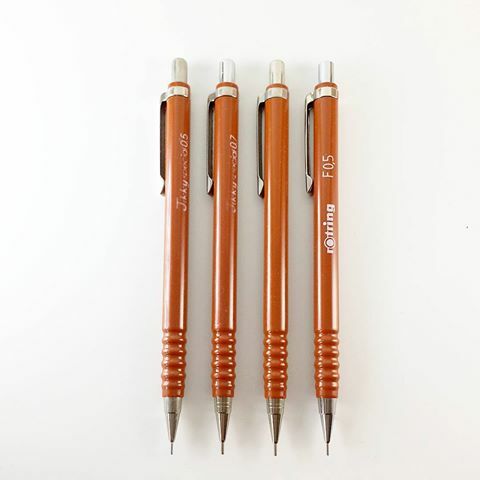 The first reference I found about the Trio pen was in a 1990 German product catalog but I think the model appeared sooner. 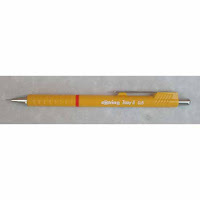 Also alongside with the first Tikky mechanical pencil Rotring brought to the market the Tikky ballpoint. Tikky Special - Plastic design with a fixed sleeve. It came in 0.3 mm, 0.5 mm, 0.7 mm. Some of the Tikky Special did not have a red ring while others had. 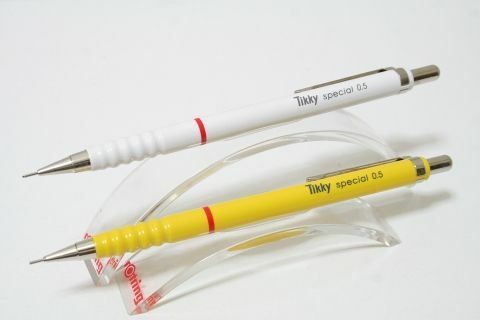 There was a white version of the Tikky special which had all sizes available 0.3 mm 0.5 mm 0.7 mm 0.9 mm. The writing and the ring on these were color coded to the lead size. 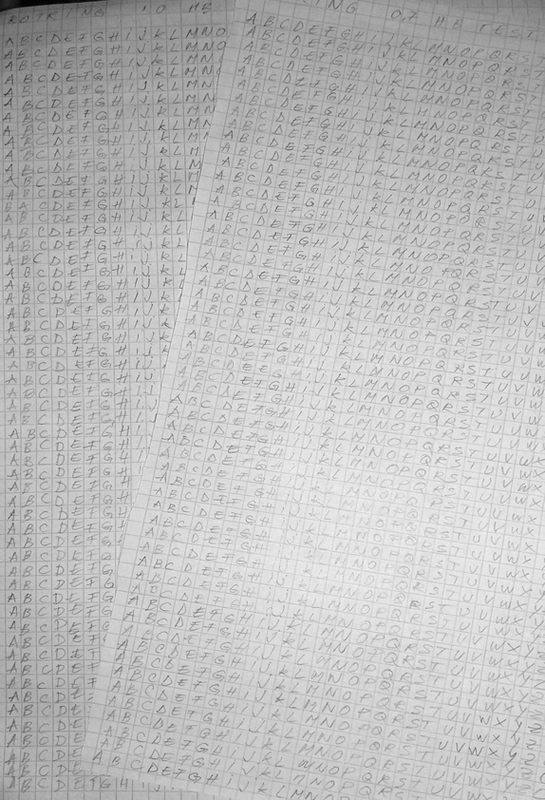 Through the technical precision of the pencil rOtring T a long existing problem has been answered: making a neat drawing using a ruler and a template. The tubular lead guide retracts from 5 mm to 3.5 mm (the thickness of a ruler). 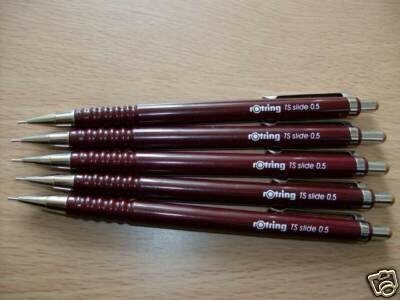 rotring T is delivered in 3 lead sizes 0.3 mm, 0.5 mm, 0.7 mm, each model comes with HB polymer lead. The pencils container comes with 6 leads for backup." The main feature of the T model is the partially retractable sleeve which was I think a safety mechanism for when using a ruler and also it gave the possibility to have maybe more control. The end cap had a size color coding. 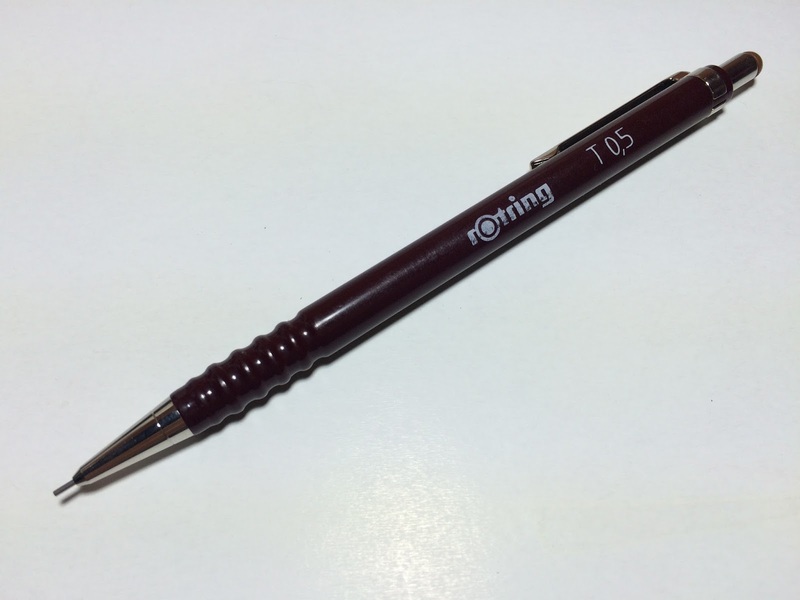 The 1.5 mm retracting sleeve feature was abandoned as in the Rotring 1990 catalog the model rOtring T is marketed as a fixed sleeve. rOtring TS slide - in the Rotring 1990 catalog, the rOtring TS slide is marketed as a half sliding sleeve. This I think is the successor of the model T which at this point became a fixed sleeve. rOtring F - "Mechanical pencil with fine lead F for writing and sketching. 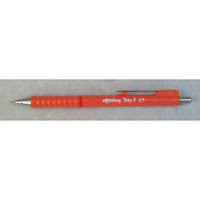 This pencil is equipped with a rigid tubular lead guide with a length of 4 mm which avoids lead brakes and offers a precision execution when using a ruler. rotring F is equipped with polymer lead size 0.5 mm HB. The pencils container comes with 3 leads for backup." So the F model was available only in 0.5 mm. The pencil was only available in 0.5 and 0.7 mm lead. rOtring S - "Mechanical pencil with fine lead S for writing and neat sketching. The tubular lead guide retracts with 3 mm in sync with the use of the lead. This way an optimal efficiency of the lead as well as a maximum safety against lead snaps. 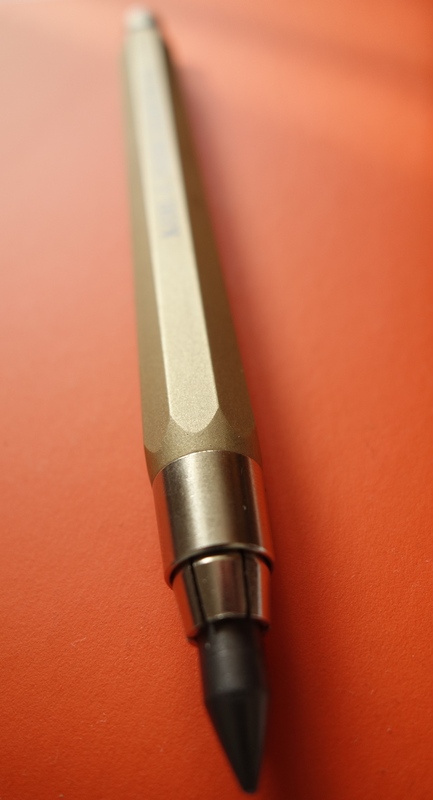 rotring S is equipped with polymer lead 0.5 mm, hardness HB. 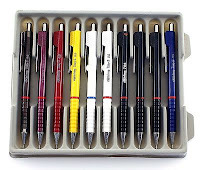 The pencil's container comes with 6 leads for backup." So the S model features a 3 mm sliding sleeve. 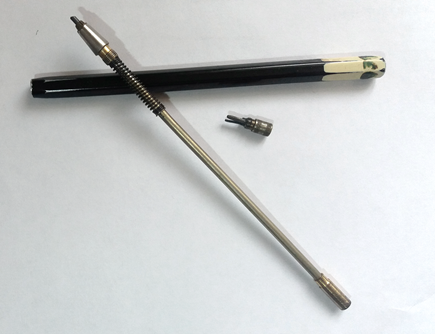 The body of the pencil comes in plastic or metal. The end cap had a size color coding. The yellowish color is "safari green"
The Second Tikky suffered a few changes. First, it gained a little bit of weight. It became a little bit fatter. Second, the clip style changed. It is a less secure one, but esthetically looks nice. The clip is not stamped with anything which it is a shame. Where the clip meets the barrel it is cast in plastic with a very small font "Made in Germany". The rest of the writing on the pencil is paint. The barrel is plastic. The Tikky II weights 10 grams. rOtring Tikky II - which had markings on the pencil "rOtring Tikky II 0.5" or "rOtring T 0.5". This is the most common version of the Tikky 2. It came in a variety of colors including metallic and transparent barrels. 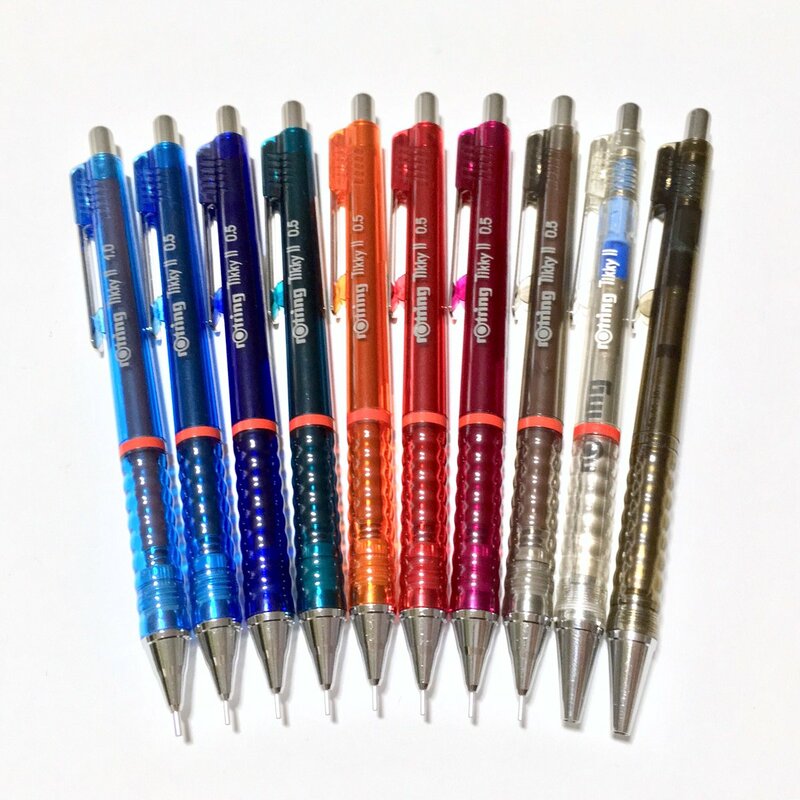 The metallic colors where part of the IN LINE series and offered pearl blue, pearl violet, pearl red, pearl yellow. 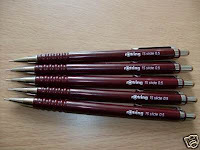 The branding rOtring T was present only on the burgundy version of the Tikky II and included ISO color coding. The rOtring Tikky II came with and without color coding on the barrel. 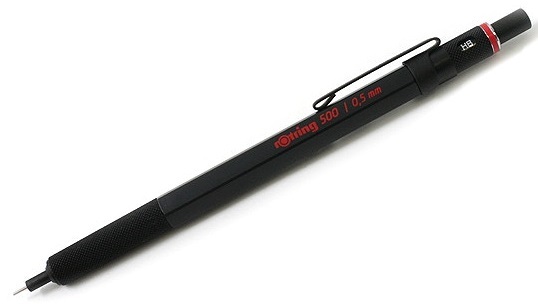 rOtring Tikky SC - features a retractable tip and a rubberized grip. This one is less common and less accessible. The SC stands for Super Comfort. 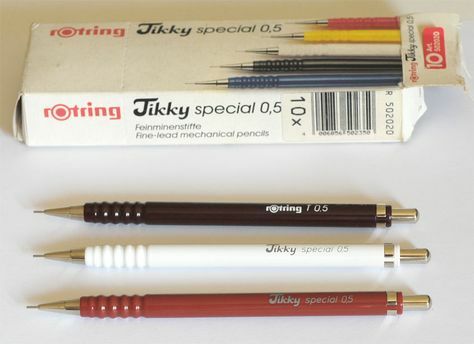 The third generation named just Rotring Tikky is a reincarnation of the Tikky line, after Rotring was bought by Standford. The pencil is also sold under the name "Papermate Tikky by Rotring" or just "Papermate Precision" version which does lack the traditional red ring. The third generation of Tikky debut in 2008 and is produced in China while the previous two were made in Germany. The biggest difference to the previous version is a partial rubberized grip (although the rOtring Tikky II SC featured a rubber grip, it had a different form), and the end of the barrel is triangular, making it less likely to roll off the table. The barrel is made out of ABS and the front cap is made out of stainless steel which has a constant slope opposed to previous versions which had a step. The quality of this part I think is inferior compared to the quality found on Tikky II. 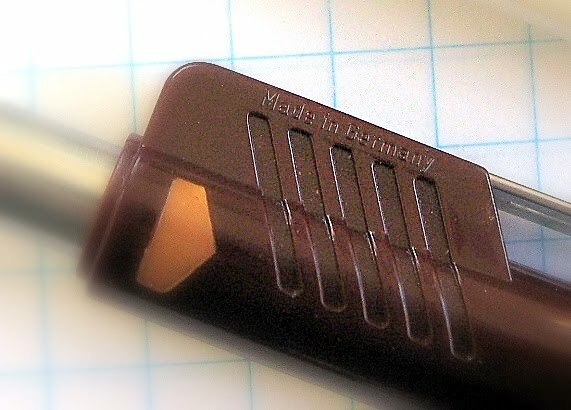 The clip style changed and now offers a look closer to the original Tikky clip, and it has stamped the rOtring name on it. The writing on the barrel changed to simply "rOtring Tikky 0.5", instead of numbering the generation with III. The cap has a hole at the top as a safety feature for children. It weighs 12 grams, 2 grams more than the second version. 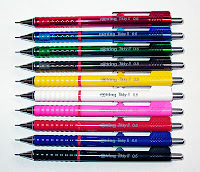 Currently, the Rotring Tikky is offered in 23 colors, latest colors included in the range are neon. 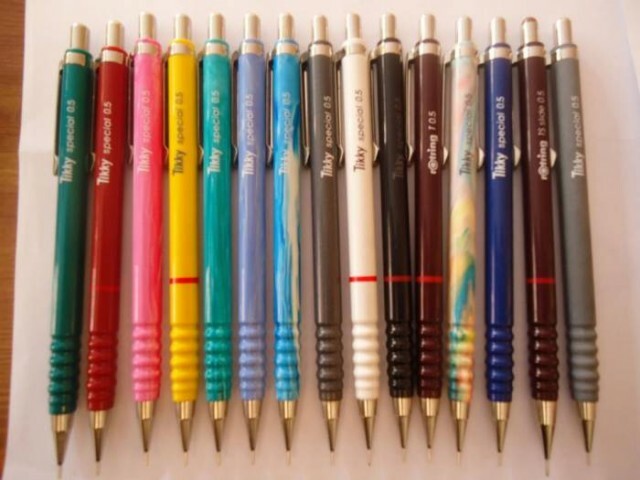 Only the black and the burgundy with size color coding on the barrel come in all lead sizes from 0.35 mm to 1.0 mm. 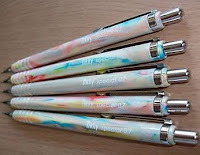 They are marketed as Tikky professional mechanical pencils. 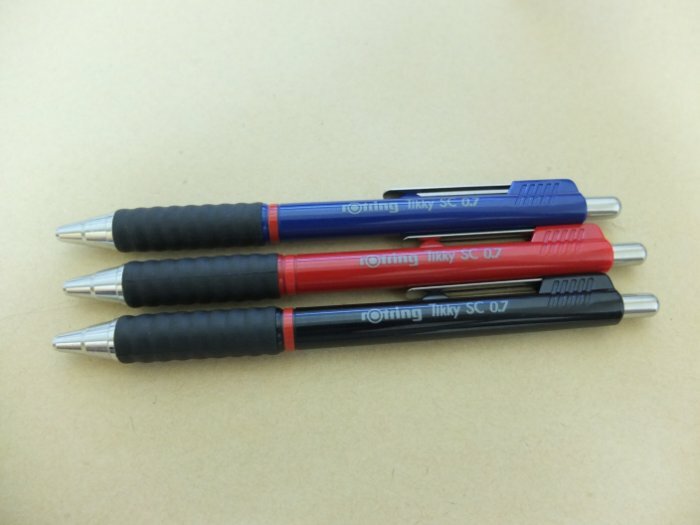 The classic Rotring colors like blue standard, white standard, yellow standard, red standard, black (version without the color coding) come in 0.5 mm, 0.7 mm and 1.0 mm while the rest of the bunch come only in 0.5 or 0.7 mm. Contributions to the information presented are welcomed.